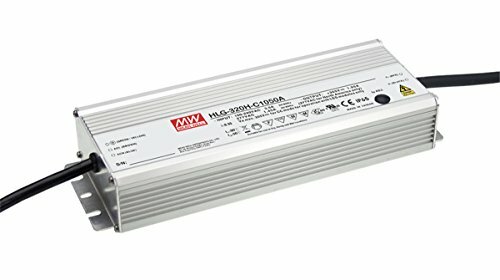 The Mean Well HLG-C series are aluminum encased AC to DC LED Drivers with constant current output. The drivers range in power from 60-watts up to 320W and operate only in constant current mode. All HLG-C products operate from 90~305Vac and are offered with current outputs from 350mA to 3500mA. Each has multiple models options for: manual output current adjustment and 3 in 1 dimming. The built-in 3 and 1 dimming allows for dimming with: 1~10V, PWM signal or resistance. These drivers are also IP65 and IP67 rated, making the HLG ideal for outdoor dry, damp and/or wet locations. With a leading 7-year warranty, a full range of safety and regulatory agency approvals, the HLG-C product stands out as the most robust and reliable solution for driving high-brightness LEDs.